One of the biggest obstacles to the uptake of low-carbon measures is the production of a poor business case. The Dragons’ Den scenario, in which entrepreneurs pitch their ideas to secure investment, holds in that unless the business case stacks up and can take close scrutiny the idea will be thrown out no matter how good it is. 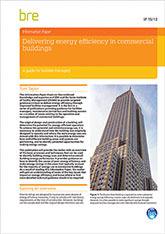 Rarely do the benefits of energy savings alone justify investment, but this is starting to change with recent 10% year-on-year increases in energy prices. However, reduced maintenance and increased productivity need to be factored in if the business case is to stack up. 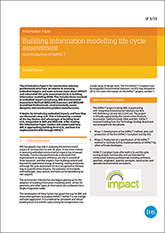 This Information Paper provides guidance on how a business case should be put together. It focuses on helping technical staff to speak the same language as their financial counterparts, illustrating the importance of the ‘do-nothing’ scenario, highlighting the risk to the business and putting potential benefits into context. It also explains how to plan a presentation in advance so that the presenter is able to put forward a compelling case. 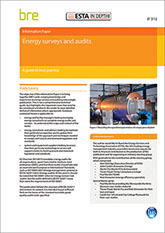 This Information Paper is aimed at energy and facilities managers, energy consultants and advisers. -3.3 The 'do-nothing' scenario: what are the consequences? -3.4 Financial metrics: what do they mean? -4.4 What are the benefits?